So, I’m sitting here at the Christian Moerlein Lager House enjoying a Helles and thinking about what lies ahead this summer… it’s going to be a busy one! Living in Cincinnati has never been better with all of the new things we have going on; I’m so glad I decided to stay after we turned down Issue Nine back in 2009. Back then, the downtown area was just starting to turn around compared to where we are today. I mean, Fountain Square had again taken its rightful place as the center of our community and things up in the Gateway Quarter were really starting to tick. There was some real promise, but many people had their doubts as well. Now though, there are very few doubters left, and almost all the concerns from back then have been alleviated. I mean, the things that are going on these days in and around the center city are just amazing compared to where we have been for at least the past twenty years. I would call it a renaissance or even a rebirth, but it’s more like a brand Cincinnati is developing right before our very eyes. The Banks project is coming along nicely, even if we all know that it seems like it was talked about forever. We all knew that even when the project started it was going to take a while, but it’s so good to see people living and working there even now! Alongside it Riverfront Park has added a wonderful green space at the base of the freshly painted Roebling Suspension Bridge. I have to say it is so much nicer to sit here and watch people in the park than it would be to see another parking lot along the riverfront. Hard to believe we had to live through that for all those years! 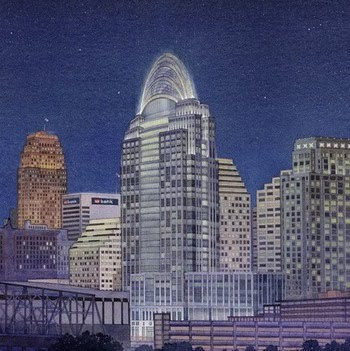 Central Riverfront Park, Great American Tower at Queen City Square, Phase 1 of The Banks – Renderings Provided. The city’s tallest building, The Tiara Tower, has been open for a little over a year and not only does it look great but it has a nice occupancy rate as well. It has brought a lot of jobs and driven interest in additional ambitious building projects around town. For example, over in Newport more development has taken hold as Ovation opened up recently. Really, when you stop and think about it, this area along the Ohio River is booming and both sides of the river have taken great pride in it all. Speaking of pride, the Cincinnati Streetcar opened up early this year and the response has been amazing! People park down at The Banks, jump on the streetcar and find their way around town very easily. They are able to ride up to Findlay Market among other places, and next year they will be able to get all the way up to the University. 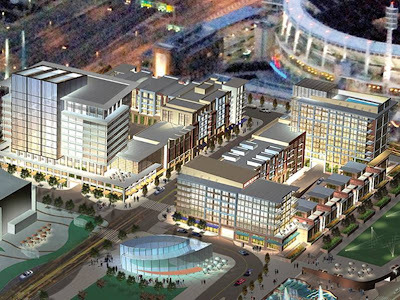 New businesses and residences abound along the line and have really added a substantial amount of tax revenue to the city coffers that were not looking good even three years ago. 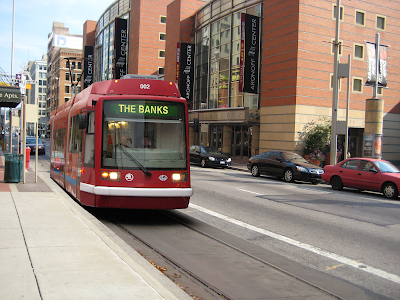 The Cincinnati Streetcar travels on Walnut Street past the Aronoff Center and the Backstage Entertainment District south towards The Banks. What else is going on? Well, the World Choir Games will be here before we know it and we are expecting quite a crowd. It is the first time the games will be in the United States and estimates are that 250,000 people will be here in town in less than six weeks to take them in. It’s going to be quite an event and the hotels have been booked up for the last year. There is also a huge Pomegranates show this coming weekend. They haven’t been in town for a while because of their touring schedule, and we all miss them dearly. They really started cooking in 2009 back when we were all concerned with Issue 9. Additionally, the Major League All-Star Game will be here in 2015 and we are all looking forward to that gigantic event! People around the area are so glad that we have a city to show off and one that we can be proud of! Cincinnati… we’ve had a lot of hurdles and obstacles to overcome, but things have been moving in the right direction for a while now and I don’t see how the momentum could be stopped! *Denotes that this is a vision of where we are headed, and not truly a post from the future. As you can see, almost all of these projects are underway in 2009 and this post was meant to tie them all together & draw a picture of what it all will look like. As of now, the All-Star game & streetcar are the the biggest dreams, but hopefully that all begins to change tomorrow. NO ON NINE! Next articleGet out and vote!